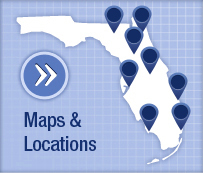 Located in the heart of north central Florida, the University of Florida Health Science Center provides an exemplary experience for tomorrow's physicians, dentists, veterinarians and clinical and research scientists. Our mission is to promote health through outstanding patient care; innovative and rigorous education in the health professions and biomedical sciences; and high-impact research across the spectrum of basic, translational and clinical investigation. 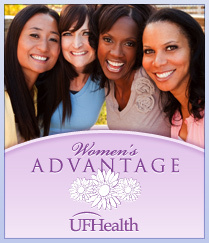 The Jacksonville Health Science Center is co-located with the Shands Jacksonville hospital. 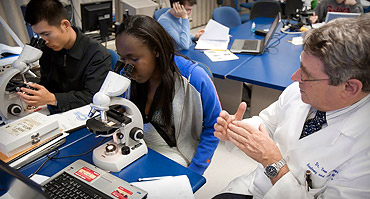 More than 1,500 UF faculty members, residents, fellows, students, staff and administrators work in our three colleges. We excel in education, research and patient care that expresses our abiding values of compassion, excellence, innovation and professionalism. Our medical center serves an urban population of 1 million from north Florida to south Georgia.